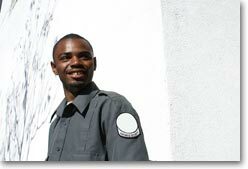 Our Security Officer Diploma program is designed to prepare you for a law enforcement career as a security officer. Aligned with the standards set forth by the Ministry of Community Safety and Correctional Services, we are an approved training provider. Our program trains you in practical fieldwork techniques, professional communications and effectively handling scenarios that will come up in your work as a security professional. Upon program completion, you will be well prepared to write the provincial licensing exam. Security Officer, Security Guard, Airport Security Guard, Armoured Car Guard, Gate Security Attendant, Commissionaire, Bodyguard, Bouncer. Available only at those locations registered as a Private Career College under the Private Career Colleges Act, 2005. Not all Diploma programs are available at all registered locations.